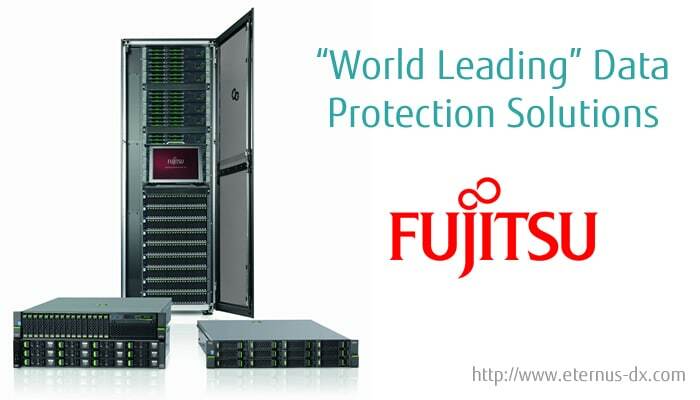 Fujitsu ETERNUS CS8000 is a unified backup and archive platform for the complete consolidation of data protection infrastructures of open systems and mainframes. 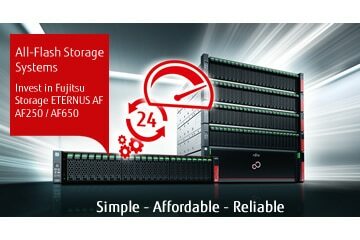 What makes Fujitsu the best deduplication appliance, bar none? Speed up your backup & restore – achieve up to 150TB/hr nearly 3x faster that the market leader! Compression – Negates dedupe and doesn’t have the same degraded performance impact. Modular Architecture Enables you to store dedupe and non dedupe data on the same appliance ie no “fork-lift” upgrades are required. Management – Very little management. CS8000 does tape management including migration, testing and repair. The ETERNUS CS8000 enables you to store dedupe and non dedupe data on the same appliance. Due to its modular architecture, no “fork-lift” upgrades are required. A family of ETERNUS CS appliances to suit all applications and budgets. So firstly, Fujitsu have been making data protection appliances for over 10 years and they make technology perform not just with the ETERNUS CS but across their whole product portfolio. 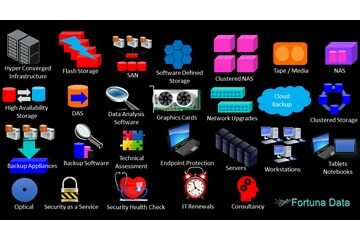 The ETERNUS CS range of backup and archiving appliances solve many of the headaches organisations are looking to resolve by providing class leading data protection solutions to find out more visit http://www.eternus-dx.com for details. We are proud to be Fujitsu Expert partners understanding and providing many technology solutions. We want to partner with you to provide the best IT technology that is supported and managed by one of the world’s biggest IT manufacturers.